Automotive Testing Expo represents the most important event about automotive quality, safety, reliability, and durability. The exibition is the most useful platform to facilitate the launch of new technologies about automotive testing, to met new commercial partner and set collaborations. In the digital comunication age, exhibitions are almost the last not-virtual get-together moments where clients, sellers and products meet physically. The next event stage is Shanghai, in the heart of Chinese industrial system. The most popolous city of the world, with an estimated 45 milion inhabitants, is preparing to ospitate for the tenth time the exhibition, at the Shanghai Everbright Convention & Exhibition Center (6F Building C, 70 Caobao Road). The numbers of last year are extremely cheering. 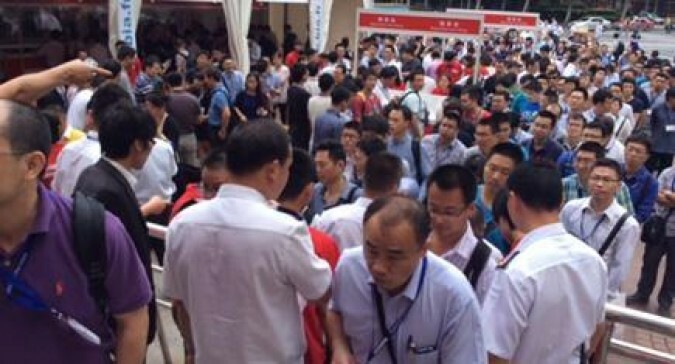 Only in the first of three days, visitors were over three thousand, and in 2015 it will expect an equally huge turnout. Visitors will be able to see the very latest test technologies and services that are being used in the full automotive production process. From the initial prototype analysis through to end of line inspection and quality assurance, and every procedure in between, exhibitors will display their very latest products that are all improving vehicle reliability, durability, safety and quality. Simpro, after the successfull partecipation at Stuttgart Automotive Testing Expo (16-18 June), is ready to join the other exhibitors – over 300 – whom will present themselves on the roaring Chinese market. It’s a unique opportunity to get in touch and face with a great – probably the greatest – expansion industrial system, which require the highest promptness from who, like Simpro, wants keep himself up-to-date about the most advanced professional stardard. Simpro will expose himself as leader and landmark of technological development in engine hot and cold bench test, in cavity waxing technology and body white assembly. For further informations it is possible to visit official Automotive Testing Expo 2015 – China website, where there is also an exhibitor list and a show layout.